Actor Jesse Williams discusses relationships and cheating rumors in his 11-minute video on Jay-Z's "Footnotes for 4:44," released on Tidal on Tuesday. 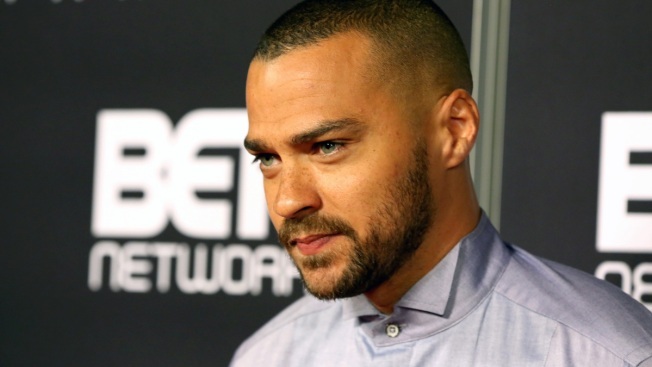 Sticks and stones may break your bones, but words definitely hurt Jesse Williams. The 35-year-old actor, who is currently involved in a public custody dispute with estranged wife Aryn Drake-Lee, has opened up about his divorce in the revealing "Footnotes for 4:44," a new offering by Jay-Z and Tidal, released earlier Tuesday. In the 11-minute video, Williams joins Jay-Z, Chris Rock, Will Smith, Kendrick Lamar, Anthony Anderson, Aziz Ansari and more for candid discussions on relationships, love and the pressure that comes with being in the public eye. While not referring to Drake-Lee by name, Williams subtly addresses cheating rumors in the visual piece and how it affects him. In the cameo, Williams says, "I was in a relationship 13 years, 13 real years, not 5 years, not 7 years, 13 years and all of a sudden mother f---ers are writing think-pieces that I somehow threw a 13-year relationship—like the most painful experience I’ve had in my life like with a person I’ve loved with all of my heart—that I threw a person and my family in the trash because a girl I work with is cute." In 2010, the "Grey's Anatomy" actor told USA Today, "I was a teacher when I met her, so she’s been with me through all different facets of my career. She’s stuck with me through thick and thick and thick and thin. We know each other in and out." In June, E! News reported that Williams and his attorney's alleged that Drake-Lee has refused his request for more time with the two children, Maceo Williams and Sadie Williams, that they share.